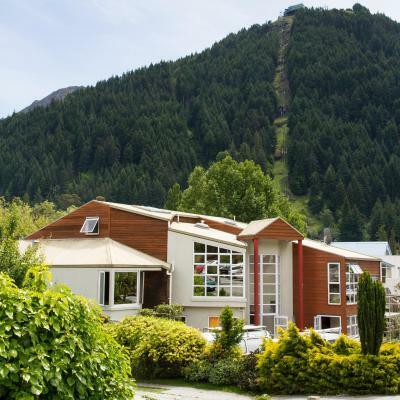 Lock in a great price for Haka Lodge Queenstown – rated 8.8 by recent guests! good location to walk to town for food and shopping. I feel impressed with everything at haka lodge staff so friendly when I didn’t have adapter staff help found for support me. If you want good location this here it so good chose. For bed and pillow I feel comfortable. for bathroom very clean finally I have a little bit problem about wifi in my room I can sent only text and search google when I sent or upload pictures it so slowly. 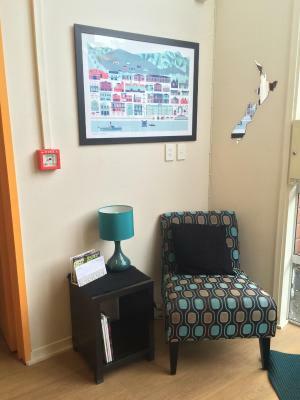 Good location near the heart of lovely Queenstown. Staff were very sweet and accommodating. Room was tight but perfectly suited for a good night's sleep (apart from the noise). Bathrooms and showers were clean and available. Facilities are always kept clean. Vegetable soup was free! Great location with easy walking distance to all attractions in Queenstown. The staff were really welcoming and helpful. Kitchen was well equipped and had a nice outdoor/deck area attached. The place was 'quirky' with lots of different floor levels, and it had a really nice vibe. The bed with curtain is certainly added bonus for privacy and people who need it. comfy lounges and plenty of spaces for a busy hostel. Location is excellent. The staff is very helpful and nice. Pleasant hospitality. Kitchen is very cozy. Haka provides you with some basic seasonings and free flow tea and coffee. Bed was very comfortable. 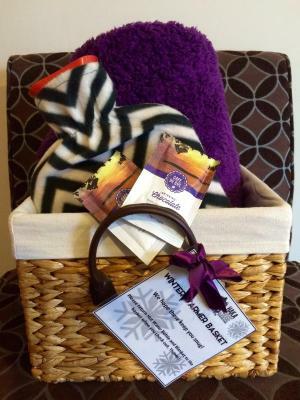 Lovely care package left in the room, hot chocolate spare blankets. Great to have a heater in he room as when i visited it was very cold.! 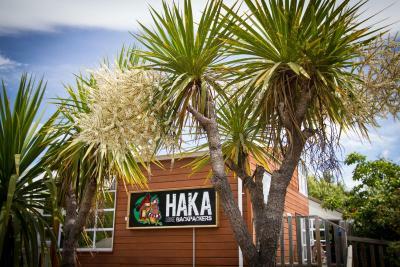 Haka Lodge Queenstown This rating is a reflection of how the property compares to the industry standard when it comes to price, facilities and services available. It's based on a self-evaluation by the property. Use this rating to help choose your stay! Opened in December 2012, Haka Lodge Queenstown features free unlimited WiFi access. 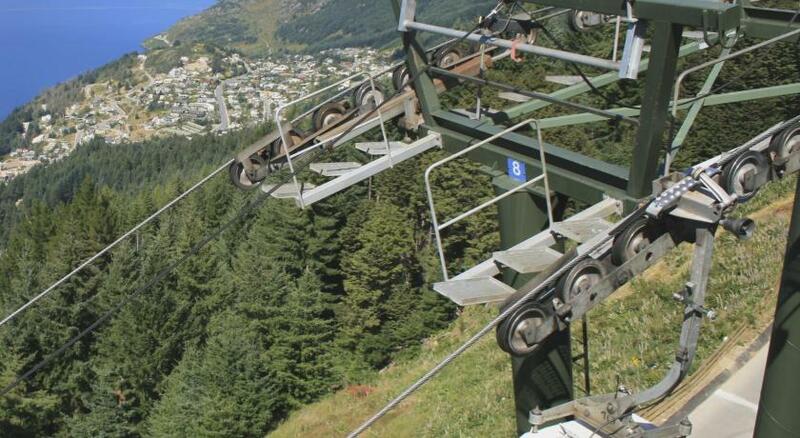 It is just 650 feet from central Queenstown and a 12-minute drive from Queenstown International Airport. Guests can choose to stay in an adult only dormitory room or in the comfort of a adult only private room. 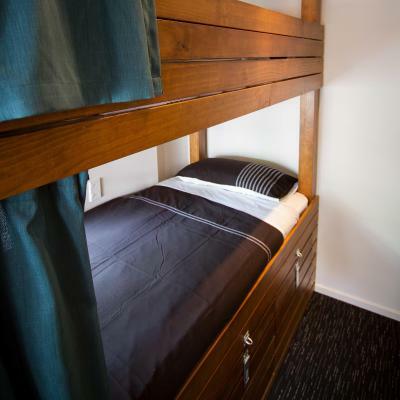 The adult only dormitory rooms offer customized wood bunk beds with privacy curtains and an under-bunk storage space. The private adult only rooms feature panel heaters, a seating area and a flat-screen TV with a DVD player. Toilet and bathroom facilities are shared for all rooms. The adult only property has a shared guest lounge with a flat-screen TV. Guests can prepare their meals at any of the 2 fully equipped kitchens. The staff at the tour desk can assist with booking local activities like jet boating, bungee jumping and wine tours. Queenstown Haka Lodge is a 10-minute walk from Queenstown Gardens and a 25-minute drive from The Remarkables Ski Fields. Limited parking is available. 뀐 Located in the top-rated area in Queenstown, this property has an excellent location score of 9.3! When would you like to stay at Haka Lodge Queenstown? The dormitory rooms offer customized wood bunk beds with privacy curtains, a shelf with power points, and an under-bunk storage space. Toilet and bathroom facilities are shared. This self-contained apartment features a private balcony, a fully equipped kitchen with a dishwasher and laundry facilities. The lounge area offers a flat-screen TV and DVD player. Air-conditioning and heated are provided. Please note that the 3rd and 4th guest will be accommodated on 2 single beds in the living area. This room features bed linen, towels, a flat-screen TV, DVD player and heating in every room. This spacious room offers mountain views, a flat-screen TV, DVD player and modern chairs. This double room features a DVD player. House Rules Haka Lodge Queenstown takes special requests – add in the next step! Haka Lodge Queenstown accepts these cards and reserves the right to temporarily hold an amount prior to arrival. Please note that children under 18 years of age cannot be accommodated at this property. This is an adult only property. Please inform Haka Lodge Queenstown of your expected arrival time in advance. You can use the Special Requests box when booking, or contact the property directly using the contact details in your confirmation. Lack of onsite parking, but QT is a nightmare for parking generally it seems. Comfy beds with side lights & sockets on top and bottom bunks. I liked the secure under bed lockers too. The bathroom facilities were good and i liked the kitchen/lounge setup. The staff were so friendly, always up for a chat. Very noisy, could hear everything in the room next door and the ceiling above. Also quite cold, heater wasn't great. 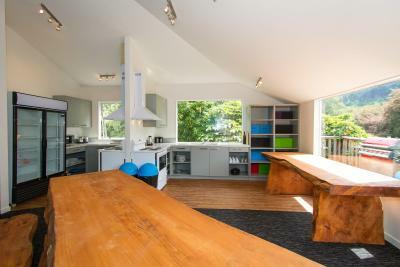 Really good location, property felt safe and had lot of information about Queenstown. Room was a little noisy being close to kitchen. The height from bed to ceiling is too close to sit straight for me. The staff is very friendly. The location is really good and quiet as well. The room i stayed in was not very wide but long. If you opened the door you could hit the person who climbs to the first top bed cause the ladder is right there. This should be considered for the future. Apart from that it was really great. Easy late check-in. Clean, good location near the city (5 min walk) but very quiet. People are nice. Good free Wi-Fi, also possible to get a shower towel for I guess 2$. The dorm I stayed in was a bit small. A bit tough to leave in the morning with the luggage without knocking on something. The beds are loud- whenever the guy in the top bunk moved it sounded like the wood was going to break any minute- even with earplugs I would wake up from every move. Also, the lockers underneath the beds are nice, but super loud when you need to open and close them. You hear the doors slam shut from not only your room, but also the neighboring ones. There was not a lot of room in the dorm to move around, would have been better to only put 4 instead of 6 beds. Staff was very friendly and helpful, always a smile on their face. The kitchens were nice, clean and cosy. Terrace is a nice touch, although the weather did not allow to sit outside. Could have used a shelf by the mirror for makeup. We had a private room, but it was quite small and near the washing machines that were noisy. No view from the window. The general atmosphere is friendly. Not much room to get around in the room and TV didn’t work. The noise from emptying the bottles in to the rubbish bin right outside our room woke us up. The location, price vs value.